Speakers for the 2018 Spring Speaker Series include (top row, left to right) Roy Choi, Janaya Khan, Muhammad Yunus, and Lynn Hunt; (bottom row, left to right) Tricia Griffith, Adrienne Dixson, Nyle DiMarco, and Sinclair Bell. The Spring 2018 Illinois State University Speaker Series will feature a Nobel Prize winner, a celebrated chef, a CEO of a national insurance company, an advocate for the deaf community, an ambassador for the Black Lives Movement, noted history scholars, and a disrupter in the cause of race and education. 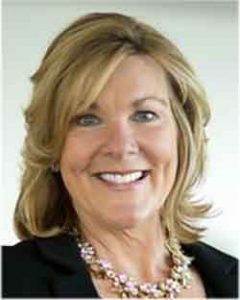 President and Chief Executive Officer of Progressive Insurance Tricia Griffith will be the keynote speaker for 2018 Business Week at Illinois State University. An Illinois State alumna, Griffith will speak at 3:30 p.m. Thursday, February 22, at Illinois State’s Center for the Performing Arts. Griffith was appointed president and chief executive officer and elected to the board of directors of the Progressive Group of Insurance Companies in July 2016. She is responsible for helping the company become consumers’ number one choice and destination for auto and other insurance. Prior to being named CEO, Griffith served as personal lines chief operating officer since April 2015 overseeing the company’s personal lines, claims, and customer relationship management groups. 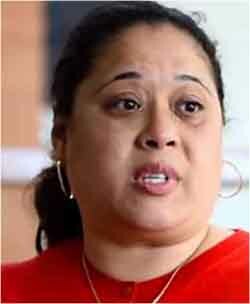 Illinois State University will celebrate Black History Month with speaker Adrienne Dixson presenting “Are we there yet? : Race, protest and the challenge of multicultural education” at 7 p.m. Wednesday, February 28, in the Prairie Room of the Bone Student Center. Dixson currently serves as professor of critical race theory and education at the University of Illinois at Urbana-Champaign. Her most recent books include Critical Race Theory and Education: All God’s Children Got a Song, Handbook of Critical Race Theory and Education, Resegregation of Schools: Education and Race in the 21st Century (Routledge), and Researching Race in Education: Policy, Practice and Qualitative Research (IAP Publishing). Classical archaeologist and art historian Sinclair Bell will explore how race and ethnicity were expressed by artists in the Roman Empire. His presentation, “Race and Representation in the Roman Empire: African Athletes as Case Study” will be at noon, Thursday, March 29, at the University Galleries, 11 Uptown Circle, Suite 103, in Normal. Bell is an associate professor of art history at Northern Illinois University. His research focuses on the art and archaeology of the Etruscans, spectacles in the Roman imperial period, and the visual representation of slaves and foreigners in Roman imperial art. Bell has co-authored or co-edited five books: A Companion to the Etruscans, Free at Last! The Impact of Freed Slaves on the Roman Empire, New Perspectives on Etruria and Early Rome, Role Models in the Roman World: Identity and Assimilation, and Games and Festivals in Classical Antiquity. He is currently the book reviews editor for the journal, Etruscan Studies. 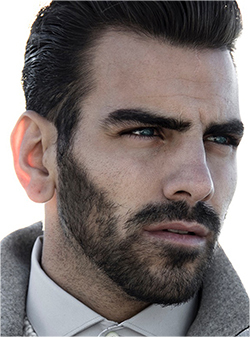 Nyle DiMarco, the winner of Dancing with the Stars and America’s Next Top Model, will give a talk titled “Living Out Loud with Nyle DiMarco” for Illinois State University’s Student Access and Accommodation Services. An ambassador for the deaf community, DiMarco will address the audience at 6 p.m. Thursday, March 29, in the Prairie Room of the Bone Student Center. DiMarco, winner of Dancing with the Stars and America’s Next Top Model, empowers audiences to believe they can do and be anything they want in life, no matter the obstacle. Recently, he was honored by The National Business Inclusion Consortium with The NBIC Hero Award for using his fame to raise the visibility for those succeeding with a disability. 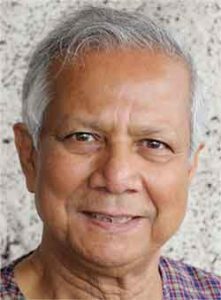 Winner of the Nobel Peace Prize, Professor Muhammad Yunus will speak at Illinois State University at 7 p.m. Saturday, April 14, in the Brown Ballroom of the Bone Student Center. His talk, “A World of Three Zeroes: Zero Poverty, Zero Unemployment, and Zero Net Carbon Emission” is free and open to the public. Yunus is the father of both social business and microcredit, the founder of Grameen Bank, and the founder of more than 50 other companies in Bangladesh. In 2006, Yunus and Grameen Bank were jointly awarded the Nobel Peace Prize for their work to “create economic and social development from below.” Yunas regards micro-credit both as a human right and as an effective means of emerging from poverty: Lend the poor money in amounts which suit them, teach them a few basic financial principles, and they generally manage on their own. He is one of only seven individuals to have received the Nobel Peace Prize, the United States Presidential Medal of Freedom, and the United States Congressional Gold Medal. Other notable awards include the Ramon Magsaysay Award (1984), World Food Prize (1998), The Prince of Asturias Award for Concord (1998), Sydney Peace Prize (1998), and the Seoul Peace Prize (2006). Chef, restaurateur, and author Roy Choi will spend an evening in Normal as the keynote speaker for Illinois State University’s 2018 Science and Technology Week. The innovative author of L.A. Son—My Life, My City, My Food will present “Riding Shotgun with an L.A. 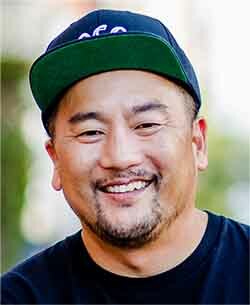 Chef: An Evening with Roy Choi” at 7 p.m. Tuesday, April 17, in the Prairie Room of the Bone Student Center. Born in Seoul, Korea, and raised in Los Angeles, California, Choi is a graduate of the Culinary Institute of America and later worked at the internationally acclaimed Le Bernardin. He was included in the 2016 TIME 100 Most Influential People in the World list. Roy resides in Los Angeles where he is the co-owner, co-founder, and chef of Kogi BBQ, Chego!, A-Frame, Commissary, POT, and LocoL. In 2017, LocoL received the first ever LA Times Restaurant of the Year award. 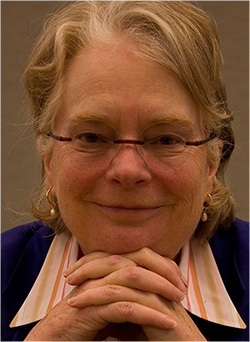 A distinguished research professor at the University of Southern California, Los Angeles, Hunt has authored, co-authored, or edited books on the origins of human rights and the French Revolution, and other topics. Her books have been translated into 14 languages. Hunt’s new textbook on the French Revolution and Napoleon, co-authored with Jack Censer, has just been published, and her book, History: Why It Matters, will appear in 2018. She was president of the American Historical Association in 2002 and awarded the Nancy Lyman Roelker Award for graduate mentorship by the American Historical Association in 2010. With a timely message about the transformational power of protest, Khan is a leading activist who engages the audience in a profound discussion about social justice and equality. 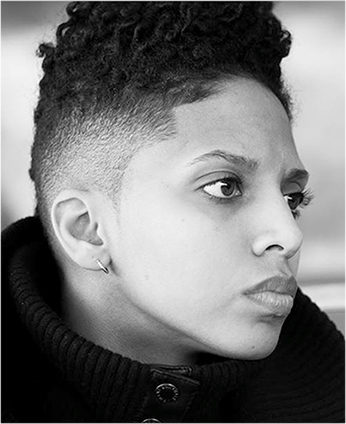 Known as ‘Future’ within the Black Lives Matter movement, Khan is a black, queer, gender-nonconforming activist (pronouns: they, them, theirs), staunch Afrofuturist, and social-justice educator who presents an enlightening point of view on police brutality and systemic racism. Khan has been honored with several awards, including the 2015 Bromley Armstrong Humanitarian Award, and has been featured in media outlets, including the Feminist Wire, RaceBaitR, and The Root. Khan currently serves as executive director of Gender Justice LA, a grassroots multi-racial coalition of transgender people and allies. 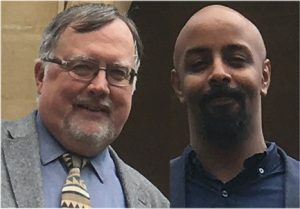 Whitburn and Mohamud are the co-founders of Justice to History, an organization to help teachers and students explore relevant, and often neglected, diverse histories. The authors of Doing Justice to History: Transforming Black History in Secondary Schools, they have been involved in developing and promoting school curricula on relevant themes for urban schools, particularly focused on stories of migration, empire, and identity. Mohamud is a senior teaching fellow at University College London – Institute of Education, tutoring trainee history teachers. He is a member of the UK Historical Association’s Secondary Committee, and has spoken at conferences in Washington, D.C.; Charleston, South Carolina; Murcia, Spain; Augsburg, Germany; and across England. 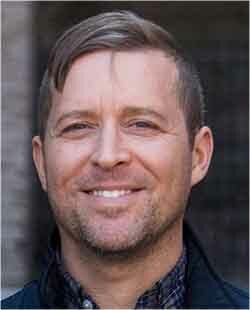 Whitburn is a lecturer in history education at the University College London – Institute of Education. He is a Quality Mark Assessor for the UK Historical Association, and has spoken at educational conferences in Beijing; Vancouver; Chicago; Durban, South Africa; and across England. Whitburn has 30 years’ experience in urban high schools. Additions may be added throughout the semester. Find out more on the Speaker Series website.